Does your finance function measure up? 1.What do your stakeholders think? 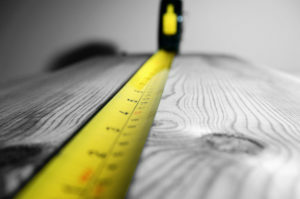 To measure this you first need to work out who your stakeholders are. Then simply record a score on a 10 point scale, answering the question “How satisfied are you with the performance of the finance function?” Track this quarterly seeing how it changes. Use the scores to initiate useful conversations with your stakeholders about their response. A subset of this measure is monitoring the satisfaction of staff on the finance team. Ask them the question “How happy are you working in the finance team?”. Track this quarterly. 2. How quickly do you report? Measure the number of working days that it takes your team to close and issue the management accounts each month. Reducing the monthly reporting turnaround time is one of the key drivers for improving performance of finance. The quicker you can report with enough accuracy (see 4), the more time that your team will have to spend on value-adding activities and connecting with others in the business. 3. Are you innovating? With the level of change around the workplace, your finance team should constantly be innovating and striving to make improvements. Measure the number of new ideas that they come up with each month and how many have been implemented. When you make this visible and recognize their efforts publicly for doing so, you will be amazed how performance will improve and more innovation will follow. i) What % of balance sheet accounts in the general ledger are reconciled each month? You should be aiming for 100%. If this is not achievable then you should be aiming for 100% of all high risk accounts as a minimum. ii) How many and what value of adjustments are required to previous accounting periods each month? A year-end version of this will be measuring the number and value of audit adjustments. 5. How accurate is your forecasting? This can be of cash-flow and profit. It can be done most effectively using graphs. You should be aiming for the actual result to fall between your upside and downside forecast. Forecasts should always be presented as a range: unless you are a time traveller you can never be sure of one figure. One word of warning, when using performance indicators always have your antennae alert for people gaming the system, particularly if their pay or promotion is tied to it. If you get the balance right you will find that you create a great culture with people focused on doing a great job. Bellevue Partners help organisations run more effective finance functions. Please get in touch if you would like to talk about how we maybe able to help you.